O series electronic expansion valves are mainly used in air conditioning systems variable refrigerant flow to realize automatic adjustment of refrigerant flow rate and make the air conditioning system work under the best working condition for the purpose of fast cooling, precise temperature control and power saving. These valves can also be used for other controls. 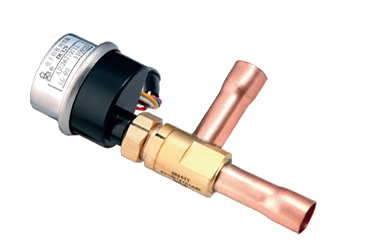 These valves are reversible which can automatically control the flow of refrigerant in either heating or cooling mode.